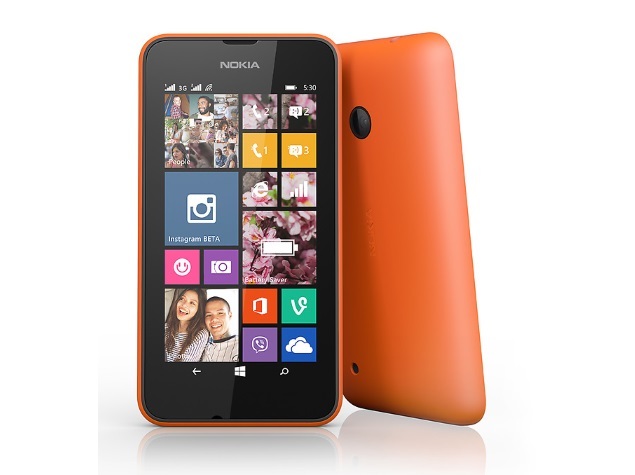 Microsoft has launched two new budget Windows Phone 8.1-based smartphones, the Lumia 530 and Lumia 530 Dual SIM. The company has announced a price tag of EUR 85 (roughly Rs. 6,900), before taxes and subsidies, for both the smartphones. The Lumia 530 and Lumia 530 Dual SIM will be available starting August in select markets. Interestingly, the global Microsoft site lists both the smartphones as Nokia Lumia 530 and Nokia Lumia 530 Dual SIM. Both the handsets will be available in Bright Orange, Bright Green, Dark Grey, and White colour variants. Further, the Lumia 530 and Lumia 530 Dual SIM sport changeable shells. As mentioned above, both the new Lumia handsets run Windows Phone 8.1 with Lumia Cyan update and support firmware over-the-air (FOTA) updates. The Lumia 530 and Lumia 530 Dual SIM come with identical specifications, except that the latter supports dual-SIM functionality. 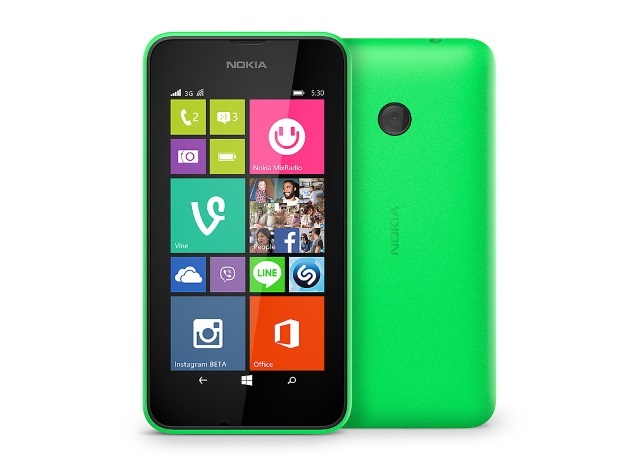 The Lumia 530 comes with 4-inch FWVGA (480×854 pixels) LCD display that offers pixel density of 246ppi. It is powered by a 1.2GHz quad-core Qualcomm Snapdragon 200 alongside 512MB of RAM. It sports a 5-megapixel fixed focus rear camera and also comes preloaded with digital camera add-ons such as Bing vision, Nokia Camera, and Nokia Glam Me. The new Lumia smartphones includes 4GB of inbuilt storage which is further expandable up to 128GB via microSD card. The Lumia 530 and Lumia 530 Dual SIM, much like other Lumia handsets, come with 15GB free OneDrive cloud storage space. The smartphones measure 119.7×62.3×11.7mm and weigh 128 grams. The Lumia 530 packs a 1430mAh battery which is rated to deliver up to 10 hours of talk time and up to 528 hours of standby time. The smartphone comes with GPRS/ EDGE, 3G, Wi-Fi (802.11 b/g/n), Bluetooth (4.0), GPS and Micro-USB connectivity options. Notably, both the handsets support Micro-SIMs. Microsoft, alongside the Lumia 530 and Lumia 530 Dual SIM, also unveiled the Bang mini speaker by Coloud priced at EUR 19 (roughly Rs. 1,500), which will be available in coming weeks.